Today, too many people are choosing to eat overly processed and devitalized foods, with artificial additives, loads of sugar and MSG. All these foods place a huge demand on our digestive systems and digestive enzymes. Our bodies were not designed to eat foods so highly processed and full of chemicals, we were designed to eat a varied diet which includes food eaten in its natural state, with lots of beneficial bacteria, enzymes, vitamins and nutrients. 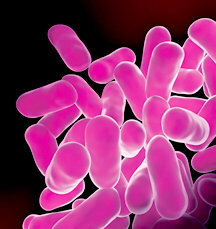 Beneficial bacteria or PROBIOTICS, as they are now referred to, keep the intestinal function healthy, assists in the digestion of necessary nutrients making them more absorbable, keeps the immune system strong and helps prevent disease causing bacteria which if build up, would lead to a large number of autoimmune diseases. It’s also important to note that antibiotics destroy all good bacteria, along with the bad bacteria, so after any course of antibiotics an increase in Probiotics is essential. Unfortunately, the current state of the world makes it hard to eat a diet full of raw, organic, pasture-raised, hormone free meats and produce on a daily basis, so if you want to achieve optimal health, you really need to achieve optimal gut health through the consumption of Probiotics. If you don’t already consume cultured foods at least three times a day on a regular basis, I highly recommend getting your hands on a good probiotic. A lot of probiotic capsules on the market are made in a lab and generally not from whole food sources; look at the ingredients, if the list contains foods then the capsules contain good bacteria from fermented foods, if the list just contains the good bacteria then it’s most likely made in the lab. You can get liquid Probiotics which are from whole food sources; this is not supplementation of any kind, as you are consuming the beneficial bacteria from whole food sources which have been fermented, so if you hate the word ‘supplementation’ and won’t have anything to do with it, you have no reason to ignore a good quality probiotic in this form. I recommend Grainfields fermented liquids; this is an Australian brand that makes high quality probiotic liquids through fermenting foods. Apple Cider Vinegar is also a great source of good bacteria (and inexpensive); Bragg is a good brand for Apple Cider Vinegar. Sauerkraut, fermented white cabbage (the fermentation process brings out and increases the naturally occurring bacteria in food), is full of a huge spectrum of probiotics (more than you will find in any supplement). What’s even better is that every batch of sauerkraut you make will have a different bacterial composition which means the more you make and eat the better mix of probiotics you’re getting! 1. In a clean, non-metallic bowl, mix cabbage, caraway, mustard seeds, and salt. 3. Sterilize jar and lid by boiling for several minutes in water and draining on a clean dishcloth. 4. 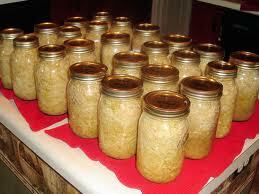 Pack cabbage into a sterilized quart-sized, wide-mouthed jar, pushing down with a wooden mallet. Add filtered, or non-chlorinated, salty (1 teaspoon salt per cup of water) water to rim of jar and cap loosely with a sterilized canning lid. 5. Screw the lid on loosely, as the cabbage ferments bubbles will form and you want the air to be able to escape. 6. Place jar on a tray to catch overflowing juices, and keep jar in a dark warm place for 2-3 weeks. 8. After bubbling stops, check container and top off with salty (1 teaspoon salt per cup of water, warm slightly to dissolve completely) water if level falls below rim. Skim any (harmless) white spots or film from the top, close jar tightly, wipe off outside of jar and store in the refrigerator until you use it up. I drink Bragg every day, so excited to find yet another great reason for including it in my regimen!